Hello. 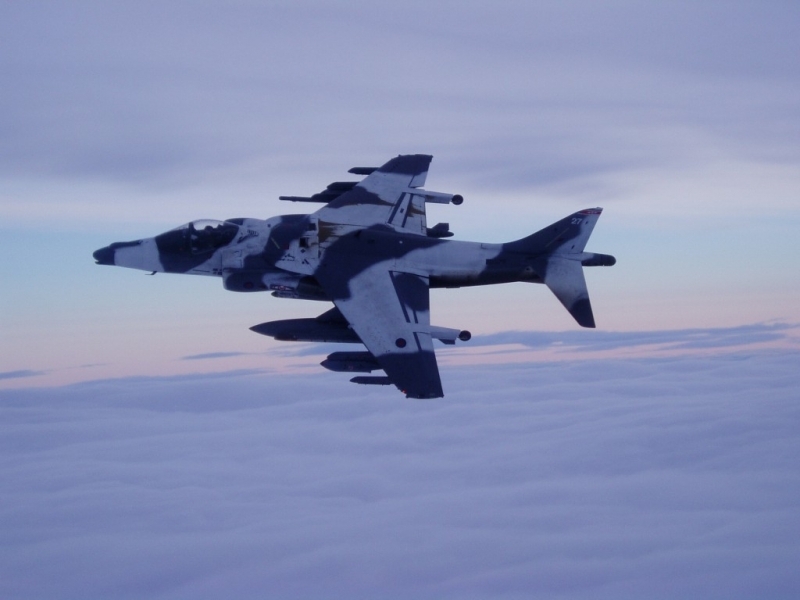 Is there any possibility one of your members might be able to help regarding the Snow Falcon Harriers, I and IV squadrons in 2004? seem to show a staining (brown) on the fuselage spine and stbd wing, which at first I thought was caused by the low angle of the sun. Your photo appears to be taken in overcast conditions and the ‘staining’ is even more pronounced. Thank you for your time and any help you may offer.